A senior official of the Shia rebel group fighting the internationally recognized Yemeni government has denied recent reports that his group has entered into dialogue with Saudi Arabia to end the war. Saudi Arabia is leading an international coalition that is trying to reinstate the government of President Abdrabbouh Mansour Hadi. Two diplomatic sources in addition to two officials from the internationally recognized government recently told Reuters that senior Houthi officials have met with Saudi officials on neutral ground, in Oman. 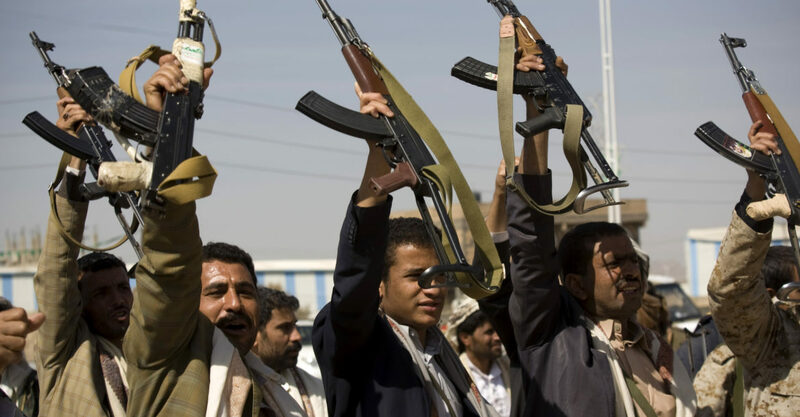 “There are consultations between the Houthis and the Saudis, without a representative of the internationally recognized government, and it is clear that there is a desire of the Houthis and the coalition to go toward a comprehensive agreement,” one diplomat told Reuters. Rebel figure, Saleh al-Samad, head of the Supreme Political Council rejected the claim. “There are those who say that [Houthi spokesman] Mohammed Abdul-Salam wants to blackmail us and we know that Saudi Arabia is not ready for peace and that its decision is not in its own hands. Otherwise we would sit at the negotiating table,” he said. Yemen slid into conflict in 2015 after the rebels backed by Iran took control of capital Sanaa driving out President Mansour Hadi who settled in Saudi Arabia. He last visited his country in February 2017. The conflict has left around 10,000 people dead and international pressure has been heaping on Saudi Arabia to halt its campaign. Houthis had balked at talking peace with Riyadh. The Iran-backed rebels killed in early December former President Ali Abdullah Saleh. Saleh was killed for turning his back to the rebels after trying to forge an alliance with Riyadh. The diplomatic sources said that the Saudi-Houthi dialogue has been ongoing for two months, The New Arab reports, recalling that direct talks between the rebels and the Hadi government have collapsed. Latest talks took place in August last year. Written by: KanelkaTagba on March 17, 2018. Posted by KanelkaTagba on Mar 17 2018. Filed under Gulf News, Headlines, World News. You can follow any responses to this entry through the RSS 2.0. Both comments and pings are currently closed.